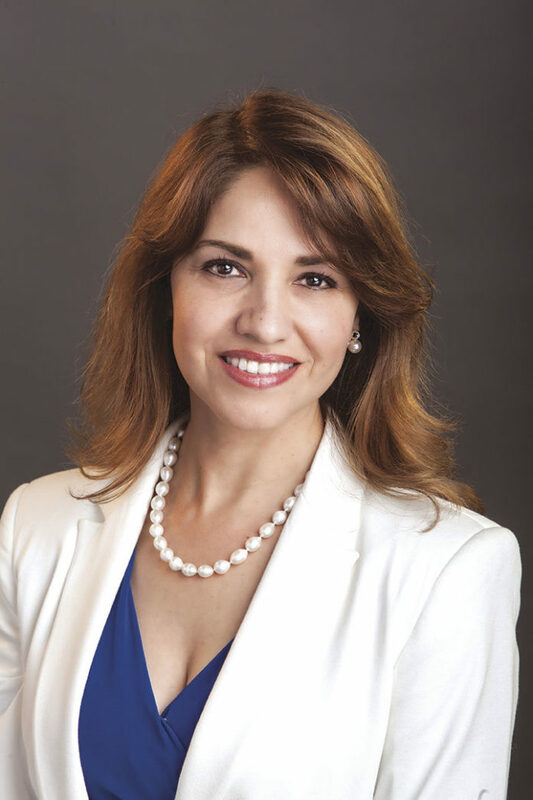 Lorena Saenz Gonzalez is the spouse of U.S. Rep. Vicente Gonzalez, D-McAllen. She is a member of the Prevent Cancer Foundation’s Congressional Families Cancer Prevention Program. Research shows men are less likely to visit the doctor regularly than women, so they might be missing out on important preventive health visits and screenings. This is especially concerning because men are more likely to die from cancer than women. About 856,370 men in the U.S. will be diagnosed with cancer in 2018, and an estimated 323,630 will die of these diseases this year. In the state of Texas, approximately 190 per every 100,000 males die annually from cancer. Fortunately, the most commonly diagnosed cancers in men — prostate, lung and colorectal cancers — can often be prevented or detected early. This Men’s Health Month, make an appointment with your health care professional or encourage the men in your life to schedule theirs. Learn your cancer risk factors (including family history) and screening recommendations before you go. Aside from skin cancer, prostate cancer is the most commonly diagnosed cancer in American men, affecting mainly those ages 65 and older and African-Americans. Prostate-specific antigen (PSA) testing may detect prostate cancer early, but you should talk to your health care professional about the benefits and harms of screening beginning at age 50. Lung cancer is the deadliest form of cancer for both men and women. About 80 percent of cases are attributed to smoking, but nonsmokers are at risk through secondhand smoke and environmental exposure to radon or other carcinogens in the home or office. Low-dose CT screening of heavy smokers or former smokers can help detect lung cancer early. Colorectal cancer is most common in those ages 50 and over. Risk factors include inflammatory bowel disease (such as Crohn’s disease), family history of the disease, smoking, being overweight or obese, consuming alcohol in excess and eating a lot of red or processed meats. Screening is recommended beginning at age 50 (45 for African-Americans) and may detect pre-cancerous polyps or cancer cells early, when they can be removed or treated more easily. Visiting a health care professional and getting recommended screenings are important parts of cancer prevention, but you can also reduce your risk by maintaining a healthy weight, exercising regularly, not smoking (or quitting if you do smoke), limiting alcohol intake and eating a nutritious diet. To learn more about cancer prevention and early detection, visit www.preventcancer.org. Lorena Saenz Gonzalez is the spouse of U.S. Rep. Vicente Gonzalez, DMcAllen. She is a member of the Prevent Cancer Foundation’s Congressional Families Cancer Prevention Program.